Welcome your visitors and keep out intruders, with customised gates from Feature Fencing. A wide choice of colours, using steel or aluminium, customised designs – let Feature Fencing create a durable solution that’s perfect for you and your property. Whether you need to fence a small home, or a large commercial property – whether you want a traditional look, or are looking for an ultra-modern appearance, or whether you need a pool fence that meets regulations, you can rely on Feature Fencing to provide the solution. We demand a lot from our garage doors – security, remote access, and great appearance that complements the design of our home. At Feature Fencing we’re leaders in combining all these attributes in garage doors that will last the distance. 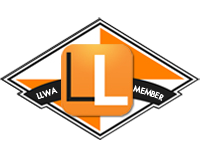 Feature Fencing is a West Australian company providing quality fencing and gates for home, commercial or industrial applications. Unlike other fencing companies we do not use pre-made fencing – every one of our jobs is custom designed to suit the need and specifications of our clients fencing job. 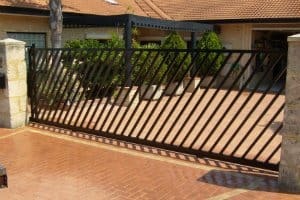 Whether you are looking to increase security of your home or business, install a pool protection fence, or simply want to add some style and class to your home, Feature Fencing can offer an affordable and attractive solution. 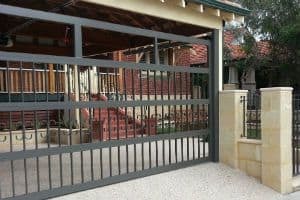 We consider ourselves the best company for fencing Perth has to offer if you are looking for quality workmanship and value. We at Feature Fencing are committed to service and quality and ensure our work always exceeds our clients highest expectations. 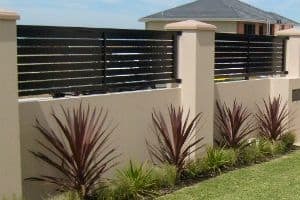 We offer punctual, free measure and quotations to all areas as far as Mandurah to Yanchep, so if you’re looking for fencing Perth, or the Metro area Call Feature Fencing.